Follow us on The Rider Challenge show! My fiance, Nathan, and I had this incredibly fun opportunity to be a part of a show through Ford and Live Nation called “The Rider Challenge.” In this show, as a team, Nathan and I had to complete different music challenges, trivia rounds, and solve clues and riddles that would lead us in our Ford Fiestas to another clue and another round! You can follow our journey as Team Rathan by watching the show! You can find the first 3 episodes online now! When you click on The Rider Challenge website, the first episode will automatically begin playing. When you’re done with that one, scroll down to the bottom of the page to watch Music Tourney Part 2 & 3! 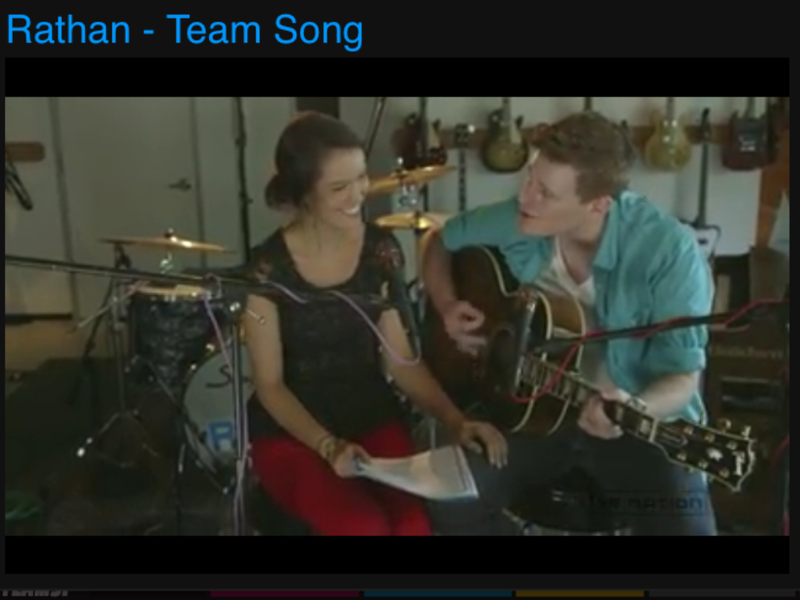 In part 3, you will get a chance to hear a song that Nathan & I wrote and performed together as one of the challenges. If you enjoy the show, stay tuned, as pretty soon you will get to watch our journey and competition in Seattle! Feel free to leave a comment on this post letting us know what you think of our journey on the show so far, and spread the word, share with your friends, and enjoy! Previous postHow would you live if every moment was narrated? Next postBright Lights & Empty Dreams-a “Grace Unplugged” Soundtrack giveaway! The competition looks tough but it shows that you guys have what it takes to go all the way! The music trivia looked fun and loved the song you guys wrote and sung. Enjoyed watching the episodes and so look forward to watching you in your next stop; Seattle! Go Team Rathan! This looks so fun! You guys placed first! Way to Go!